The only portals of entry are the nostrils and mouth/throat. In a global epidemic of this nature, it’s almost impossible to avoid coming into contact with H1N1 in spite of all precautions. Contact with H1N1 is not so much of a problem as proliferation is. 1. Frequent hand-washing (well highlighted in all official communications). 2. "Hands-off-the-face" approach. Resist all temptations to touch any part of face (unless you want to eat, bathe or slap). 3. *Gargle twice a day with warm salt water (use Listerine if you don’t trust salt). *H1N1 takes 2-3 days after initial infection in the throat/ nasal cavity to proliferate and show characteristic symptoms. Simple gargling prevents proliferation. In a way, gargling with salt water has the same effect on a healthy individual that Tamiflu has on an infected one. Don’t underestimate this simple, inexpensive and powerful preventative method. 5. *Boost your natural immunity with foods that are rich in Vitamin C (Amla and other citrus fruits). *If you have to supplement with Vitamin C tablets, make sure that it also has Zinc to boost absorption. 6. *Drink as much of warm liquids (tea, coffee, etc) as you can. *Drinking warm liquids has the same effect as gargling, but in the reverse direction. They wash off proliferating viruses from the throat into the stomach where they cannot survive, proliferate or do any harm. I suggest you pass this on to your entire e-list. You never know 20 who might pay attention to it – and STAY ALIVE because of it. We’re just back from Suwon, South Korea and my daughter’s wedding. I’m consequently a little late getting the update out as working on a laptop with everything going on was difficult. But what a time we had. With a population of about 49 million, approximately 10% of South Koreans are Catholic and the faith is growing quickly. The seminary we visited briefly in Suwon counted 180 seminarians. Aside from so much to absorb, admire, and adjust to culturally it was striking how serious people are about their faith. Everyone seemed intent and focused during Mass and unlike many parishes I’ve visited in North American, the Koreans all seem able to sing together and sing beautifully. The church we went to for daily Mass would be packed with perhaps 150 people with most of the women wearing mantillas. We’re still absorbing it all. Here’s a link to some pictures of the happy bride and groom, Jae Ho. If you value this service please remember to send us a donation, even if it’s only a small one. Please include CERC in your prayers. You can donate here. This CERC Weekly Update is also available on our web site here. You can view the previous CERC Weekly Update here. When I received a letter from Dr. Wanda Franz telling me about the "Proudly Pro-Life Award," I was, quite simply, overcome with emotion. Word of Saint Damien’s heroic labors among the lepers on Molokai quickly spread after his death. After today’s amazing announcement from the Vatican, Anglicans no longer need to change into their swimming trunks. When is it too late to grow up? If fatherhood is rejected — something easy as pie today — the result for the liberated male is not happiness, but as Wendell Berry observes, an "escape only into loneliness and meaninglessness." And for the children, the outcome is misery. Fundamentalist attacks on priestly celibacy come in a number of different forms — not all compatible with one another. There is almost no other subject about which so many different confusions exist. The decision announced in Rome yesterday to create structures to allow Anglicans to convert to Catholicism in a corporate way, while retaining many of their Anglican traditions, is a major historical development. Maybe, just maybe, our current crisis of trust is actually a singular opportunity to rethink our priorities and redirect our confidence. The entry of anti-modernist Anglican dioceses and parishes into the Catholic Church has been announced. The ecumenism of Pope Ratzinger appears increasingly influenced by fidelity to tradition. That’s the way it is with the Lefebvrists. And even more so with the Eastern Orthodox Churches. As many as 1,000 priests could quit the Church of England and thousands more may leave churches in America and Australia under bold proposals to welcome Anglicans to Rome. There’s a natural, healthy excitement in Church this week, caused by the Pope’s bold move to welcome Anglicans into the Catholic fold. But after that first flush of excitement, let’s step back just a bit and assess the likely outcome. Well, the media mantra about the Vatican’s welcome to Anglicans has begun, and the anti-Catholicism is about as ugly as it gets. Music is "a spiritual and therefore universal language," Pope Benedict XVI remarked after attending an October 17 concert by the International Piano Academy of Imola, Italy. If reports from Poland are true, an alleged Eucharistic miracle that took place a year ago may have merit. A sea of good will with our better selves. To understand Catholic charities in the United States today, we need to remember two simple facts. Tens of thousands of Spaniards protest changes in the law, which make abortions easier to obtain. The U.S. Catholic bishops may oppose the healthcare bill over abortion and coverage of immigrants. Archbishop Raymond Burke, prefect of the Apostolic Signatura, has offered the first solemn High Mass in the extraordinary form of the Roman Rite in St. Peter’s Basilica since the promulgation of the ordinary form four decades ago. In a discussion on the results of the 1994 Cairo conference on population and development, the Vatican representative to the UN pointed out to other delegates that the gloomy predictions of population-control advocates had never been fulfilled. There’s something curious about the way the media have been handling the difficult and complicated story of Rifqa Bary. Within the last few years, the U.K.’s notorious rationing board, the National Institute for Health and Clinical Excellence (NICE), urged hospitals, nursing homes, and hospices to follow an end-of-life protocol known as the Liverpool Care Pathway. Lots of "thought experiments" have ended up in good things for humanity, but many have been disastrous. I know, it’s frivolous! The whole world is "in turmoil" and disaster looms on every corner. How will the Vatican deal with the disparate Anglican groups that may now wish to join the Church of Rome? U.S. Supreme Court Justice Samuel Alito wonders why so many objections are raised about Catholics on the Court. Since the fall of 2008, the University of Victoria Student Society has denied funding to Youth Protecting Youth, the campus pro-life club, because the club will not promote abortion as a morally acceptable choice. This overview provides links to key documents relevant to the case and a chronological summary of events. "Why don’t you guys study like the kids from Africa?" After 12 years as president of The Catholic University of America, Father David O’Connell surveyed the landscape of his life and the school. Let’s face it, progressives are on a roll at the University of Notre Dame, America’s most symbolic Catholic institution. Religious groups have found their freedom to associate restricted in some recent cases on American campuses. During his tenure, President Towey has shown bold leadership and made a significant contribution to Catholic higher education. Half of American high-school seniors surveyed recently thought Sodom and Gomorrah were a married couple. Every American college student has used Strunk & White. Here is its history. According to a Washington Post editorial, "Open to Vouchers?" Michelle Rhee, the head of the Washington, DC public education system recently testified before Congress that "she could not in good conscience tell a parent today to put his or her child in a traditional [Washington, D.C.] public school." In this issue’s Biblical Views column, scholar Steve Mason exhorts us to rethink one of the most fundamental categories of scholarship for the student of Biblical literature: ancient "Judaism." Mason takes a careful look at the word and its origins, beginning with its first appearance in Jewish texts in 2 Maccabees. By following the term’s evolution from concept to "-ism" Mason observes that, ironically, "Judaism" is basically a Christian invention. Steve Mason (B.A., M.A. McMaster, Ph.D. St. Michael’s) is Professor of History and Canada Research Chair in Greco-Roman Cultural Interaction at York University in Toronto. He edits the 12-volume Flavius Josephus: Translation and Commentary (Brill, 2000-), and has contributed two of its volumes: Life of Josephus and Judean War 2. His other books include Flavius Josephus on the Pharisees (1991), Josephus and the New Testament (second ed. 2003), and Josephus, Judea, and Christian Origins: Methods and Categories (2009). He is currently writing a book for Cambridge University Press on the Judean-Roman War of 66 to 74. Read more about Steve Mason. BAS is delighted to welcome Professor Mason to the 12th annual Bible and Archaeology Fest, where he will present the latest research on the enigmatic Essenes. The Royal Ontario Museum in Toronto has recently opened the second installation of its six-month exhibition Dead Sea Scrolls: Words that Changed the World, which is being presented in conjunction with the Israel Antiquities Authority. Some of the featured scrolls include the Book of War Scroll, the Messianic Apocalypse Scroll and a portion from Genesis. Discover the Biblical sites of Egypt–off the beaten path! Personalized for Biblical archaeology scholars and enthusiasts, our unique 16-day tour explores the land of pharaohs and kings, prophets and patriarchs as travelers visit the places so central to the Bible and Western civilization. This is the chance to explore the Biblical side of Egypt. Travelers will journey to ancient monasteries–St. Catherine’s and the newly restored Red Monastery–the Temple of Seti I and Ramses II (possibly the Pharaoh of the Exodus) at Abydos, the ancient city of el-Amarna and the tombs at Beni Hassan. Of course, central to any tour of Egypt are visits to: the Valley of the Kings, Villages of the Nobles and workers, and the Luxor Temple. And there’s much more. This week in the news, tombs in the Valley of the Kings are at risk of flooding while Roman baths are discovered in Syria. Meanwhile, archaeologists in Jerusalem are divided over plans to build a museum near the Western Wall. Write a caption for this cartoon! The author of the best caption will receive a BAS T-shirt, a Dead Sea Scroll mug and three complimentary subscriptions to give BAR to friends. Runners-up will receive a BAS T-shirt and two complimentary subscriptions.The deadline for captions is December 15, 2009. Explore the site where the famous Dead Sea Scrolls were discovered, Qumran. The breathtaking cinematography makes it the next best thing to actually being there! Eminent Scroll scholars shed new light on Jesus’ teachings the Jewish world in which Jesus lived. Today is World Mission Sunday. We are called to this Eucharistic celebration – along with Catholics in every Parish, chapel and church throughout the world – to recommit ourselves to the call we heard at Baptism, to share our faith, to be missionaries. Let us pray for all who long to hear the hope-filled, life-giving message of Jesus’ love and salvation. Let us offer generous financial help to the Society for the Propagation of the Faith in support of the service of priests, religious, and lay catechists in more than 1,150 local churches throughout Africa, Asia, the Pacific Islands and remote regions of Latin America. If your newsletter is not in a form you can use go to this link. To see this information in graphic format, click here. DESERTUSA’S STORE features quality items at low prices! Shop NOW and get the LOWEST SHIPPING PRICES! Agate Lights – Each one is unique! Choose your own! Cut and polished from Brazilian agate and mounted on a non- endangered Brazilian wood base. Available colors range from lustrous blues and purples to pristine whites and even a dramatic magenta tone. Hurry to pick the one you want before it is gone! Now Available: The Desert Southwest 2010 Calendar! They are back in stock after 2 years. The saguaro is 2 to 3 inches high and about 2 inches wide. Come with pot and dirt. Just add 1 tablespoon of water every month. The magnificent Saguaro Cactus, the state flower of Arizona, is composed of a tall, thick, fluted, columnar stem, 18 to 24 inches in diameter, often with several large branches (arms) curving upward in the most distinctive conformation of all Southwestern cacti. The Saguaro often begins life in the shelter of a "nurse" tree or shrub which can provide a shaded, moister habitat for the germination of life. The Saguaro grows very slowly — perhaps an inch a year — but to a great height, 15 to 50 feet. The largest plants, with more than 5 arms, are estimated to be 200 years old. An average old Saguaro would have 5 arms and be about 30 feet tall. PRICKLY PEAR LEMONADE IS GREAT FOR AFTER SCHOOL TREAT! Try a Prickly Pear Margarita made with Prickly Pear Cactus syrup. The syrup also makes exceptionally flavorful Wine Coolers, Spritzers, and Prickly Pear Lemonade. The Syrup comes in 7 oz.,12 oz., 23 oz. and 1 gallon containers. At just $14.95, the 23 oz size is a great economical bargain! Click Here for more information. Enjoy Prickly Pear Cactus, Mesquite Bean and Margarita jelly candies – Half pound box featuring three mouth-watering candy selections. Tantalize your tastebuds with flavors of the southwest from the fruits of the desert. Directions: Pour over ice or blend in a blender. SONOMA LAVENDER PRODUCTS 25% OFF SALE!!! Whenever you need a little pampering, cuddle up to your Sonoma Lavender. Overworked, cold feet are soothed while you improve your circulation. Just pop in the microwave for aromatic, moist heat. Lovingly hand stuffed and finished in Sonoma, California. Made in the USA! Just $26.95! The Ultimate comfort. Cushy pillows you can heat or chill for muscle-soothing relief while the scent of lavender relaxes. Lovingly hand stuffed and finished in Sonoma, California. Made in the USA! Just $26.95! Agate Bookends – Beautiful, unique bookends of Brazilian Agate, in a wide range of colors from brilliant magenta to aquamarine and topaz colorings. Average size: 5" Tall X 8" Wide X 3" Deep but sizes vary. Hurry! Each one is different and they go fast! Fascinated with the desert and explorer programs? This fascinating and educational book set is 18.95 – great for budding scientists and explorers! Desert Survival Handbook – Survival situations can and do happen to average people, as well as adventurous explorers. You’ll have the capacity to handle these situations if you know and follow the fundamental principles of survival. Joint Supplement – Do you have an older dog or a dog with arthritis or joint problems? Check out Nimble, a glucosamine product for dogs, that could help return them to pain-free movement. Click here for more information or to buy. The rare and delicious scent of Desert Queen fragrance captures the scent of the Night-Blooming Cereus – 1.7oz Eau de Parfum Spray only $38.95. Bath and shower gel only $16.95 cleans and moisturizes the skin with a special blend of mild cleansers, vitamins and botanical extracts, including aloe. Gift Trio at $64.95 includes .7oz Eau de Parfum Spray, 8oz. Hand & Body Lotion and 8oz. Bath & Shower Gel plus attractive gift bag! PARK DVDs . . .
State and National Park DVDs – DesertUSA has an extensive selection of park DVDs including: Arches, Big Bend, Monument Valley, Death Valley, The Grand Canyon, Carlsbad Caverns, Zion, Yellowstone, Red Rock Canyon and many more. Click here to browse our park DVDs. Ghost Mountain DVD the story of Marshal South and his family’s adventure of living on Ghost Mountain in Anza-Borrego Desert State Park. To preview the DVD in Flash Click Here. Anza Borrego Seasons in the Desert. This stunning DVD covers the various regions of the park, as well as indigenous flora and fauna. Joshua Tree NP DVD This is THE tool you need to plan a trip to Joshua Tree National Park. All revenue earned from our online reservation system and store sales are used to support the maintenance and development costs associated with the DesertUSA Web site. By placing reservations on DesertUSA’s reservation system or by purchasing products from the Trading Post, you are directly contributing to the future development and continued maintenance of DesertUSA. Get ready for your visit to the desert with books, gifts and products available from the DesertUSA’s Online Store. DesertUSA’s purpose is to provide a tool for discovery – a publication that entertains, educates and explores with our readers, the beauty, life and culture of the North American deserts. Visitors come to DesertUSA’s Web site every month to read articles, participate in the Desert Talk message board, shop in DesertUSA’s online store and explore the desert virtually. DesertUSA encourages you to forward a copy of the Digital Desert Newsletter to friends, family and business associates who may be interested in receiving this newsletter on a monthly basis. Priene is one of Turkey’s best preserved ancient cities. It is also home to one of two known ancient synagogues in Asia Minor. While the synagogue was confirmed as such in 1928, scholars have long lamented the lack of further information. Recently, the first excavation at this site in over 100 years was conducted by archeologists Dr. Nadin Burkhardt from the University of Frankfurt am Main and Dr. Mark Wilson of the Asia Minor Research Center in Izmir. The two-week endeavor, which was sponsored in part by BAS, was a great success, and it is hoped that the new information will shed light on the ancient Jewish community of Asia Minor. 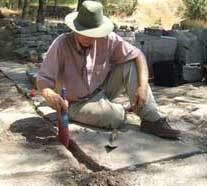 Read more about the first excavation at the ancient Priene synagogue in over a century. Mark Wilson will be one of our featured speakers at the 12th annual Bible and Archaeology Fest this November in New Orleans. Visit us online to find out more about this exciting program! Come hear Mark Wilson speak at Bible & Archaeology Fest XII. 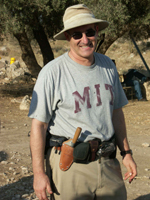 Aren M. Maeir is professor of archaeology at the Martin (Szusz) Department of Land of Israel Studies and Archaeology at Bar-Ilan University and is co-director of the Bar-Ilan University/Weizmann Institute of Science joint program in Archaeological Science. Dr. Maeir completed a B.A. 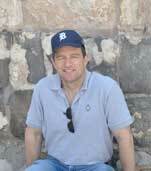 in Archaeology and Jewish History and attained his Ph.D. in Archaeology from the Hebrew University of Jerusalem in 1997. His primary expertise is Biblical and Ancient Near Eastern Archaeology, and he has participated in excavations at numerous sites in Israel, including: Hazor, Jerusalem, Beth Shean and Qasile, and has directed archaeological excavations and surveys in Jerusalem (The Western Wall Tunnels, Mamilla, Kikar Safra, Malha), Tell es-Safi/Gath, the Beth Shean Valley and Tel Yavneh. He as published over 100 scholarly and popular studies, and has written and edited several books. He is director of the Tell es-Safi/Gath Archaeological Project, a long-term, multi-national excavation of one of the largest ancient sites in Israel. Read more about Aren Maeir. Dr. Maeir will present his lecture "Fleshing Out the Bible at Philistine Gath: The Interface of Bible and Archaeology" at the 12th annual Bible and Archaeology Fest! Don’t miss your opportunity to hear about Dr. Maeir’s latest research. Meet 20 world-class scholars in New Orleans! Our most popular program year after year, the Annual Bible and Archaeology Fest, will take place this year in New Orleans, Louisiana, November 20-22, 2009. Twenty of the most distinguished scholars from around the world will be coming together to present you with the latest research and discoveries in Biblical scholarship and archaeology. You will have the opportunity to interact directly with the experts themselves and be among the first to hear about their findings. Featured speaker biographies, lecture topics, lecture abstracts and the daily lecture schedule are now all available! Check out all the featured speakers and lecture topics. This week in the news, the famous bust of ancient Egyptian queen Nefertiti returns to the Neues Museum in Berlin, and a scholar in Holland presents a startling new interpretation of the Bible’s first sentence. Egypt and France wrangle over Egyptian antiquities held in the Louvre, while in Syria archaeologists have discovered ancient images of heaven and hell. subscriptions.The deadline for captions is December 15, 2009. Scholars Gabriel Barkay, Eric Cline, Michael Coogan, Ronald S. Hendel, James Sanders and Shelley Wachsmann explore the world of the Old Testament from many vantage points. lives – parents, spouses, grandparents, children, relatives, and friends. the entire month of November. delightful presence and rose-filled power. included in the month long masses. memories as we remember the people with whom God has graced us. DESERTUSA’S STORE features quality items at GREAT prices! The Alabama Hills Stewardship Group and the Bureau of Land Management’s Bishop Field Office will sponsor a cleanup of the Alabama Hills on Saturday, Oct. 3, to prepare the hills for the Lone Pine Film Festival on Oct. 9 – 11. Celebrate Borrego Springs’ “Starry Starry Nights” and International Dark-Sky Community designation! October is finally here and so it Orionids Meteor Shower! The annual Orionids Meteor Shower will be visible over Borrego on October 21st as it peaks. It will be a near new moon and we should have good conditions to see its spectacular show! Live picture from government-operated web camera at Vandenberg Air Force Base in California. This camera feed will switch between launch pads and processing facilities depending on where work is happening. Updated about once every 45-60 seconds. Refresh this page or click here to load the latest live image. The skin is smooth and waxy, the trunk and stems have stout, 2-inch spines clustered on their ribs. When water is absorbed , the outer pulp of the Saguaro can expand like an accordion, increasing the diameter of the stem and, in this way, can increase its weight by up to a ton. Lost between the rugged High Sierras and sunbaked Death Valley, bypassed by most visitors on their way somewhere else, this sumptuous alignment of low desert valleys trapped between mountains reaching over 11,000 feet is a little-known paradise waiting to be discovered. This is Death Valley one hundred years ago, a hiker’s mecca filled with salt flats and sand dunes, old mines and ghost towns, awesome canyons, breathtaking summits, delightful springs and unexpected streams, and more miles of unspoiled desert than one can explore in a lifetime. This is the first comprehensive guidebook dedicated to this fascinating region. Illustrated with hand-drawn topographic maps, filled with information about the area’s rich human and mining history, geology, and botany, it will take hikers and four-wheelers to more than 200 destinations covering a wide range of interests and difficulties. Anyone can use a pan to recover gold from mountain streams, desert arroyos or wherever it awaits you. Roy Lagal, who has spent a lifetime finding gold, tells just how easy it is. Take your next vacation in beautiful gold country. Follow the simple illustraded instructions in this book, you are certain to enjoy the glorious outdoors. And, you may experience the thrill of a lifetime as you find color of your very own!!! Also, learn how to use metal detectors that can make discovering gold nuggets as easy as finding coins in the park. We have added 3 more coaster designs, check them out. We added this soft and fury friend to our collection. Click here to learn more. See all our desert buddies. If you were to go wandering in the Arizona desert on a spring day, what would you be likely to see? This video answers that question. Far from being the lifeless, hostile place that many people imagine, the Arizona desert in spring puts forth an astonishing display of flowers, and a wide variety of animal life. "Spring Comes to the Harcuvars" contains information about 12 species of lizard, 5 rattlesnake species (and five other snakes), plus several birds and mammals. Over 60 different flowering plants provide a kaleidoscope of color. Sale on Sonoma Lavender products. Up to 25% off. WE HAVE ALL KINDS OF UNUSUAL ITEMS FOR THE GARDENERS ON YOUR LIST, AT PRICES YOU WILL LOVE. Check out our GARDEN DEPARTMENT. Live Cactus Egg (miniature Greenhouse for Cactus sprout) Set includes: 1 Live Cactus, Egg Incubator dome, and Instructions on planting and care, provides education and fun as you raise your own cactus! Click here to see it! PLAN A DESERT-THEMED PRICKLY PEAR HOLIDAY PARTY, OR GIVE PRICKLY PEAR CANDIES AS A TREAT! Try a Prickly Pear Margarita made with Prickly Pear Cactus syrup. The syrup also makes exceptionally flavorful Wine Coolers, Spritzers, and Prickly Pear Lemonade. The Syrup comes in 7 oz.,12 oz., 23 oz. and 1 gallon containers. Click Here for more information. BOOKS, PUZZLES, BREAK AT HOME GEODES AND STUFFED ANIMALS! Stuffed animal and book gift sets: Stellaluna and little fruit bat toy, Tortoise and the Jack Rabbit and Tortoise toy plus Jack Rabbit toy, and more! Educational toys like Break-at-Home Geodes and 3D puzzle – 3 models – Tarantula – Scorpion – Gila Monster! Stuffed animals of all kinds – coyotes, snakes, big horned sheep, horses, bats, prairie dogs, foxes, and more! Don’t miss our adorable pair of wild horses. Honeycomb and Nutmeg are 7" tall microfiber plush horses. Honeycomb is a Palamino and Nutmeg is a Chestnut horse. Click here for the horses. Agate Bookends, Rose Quartz Lamps, Amethyst Candle Holders, Agate Nightlights Southwest decor and more! EVERY KIND of DESERT BOOK IMAGINABLE – from GEM TRAILS GUIDES to PARK PACKAGES, HISTORICAL and ANIMALS! Check out our DESERT SURVIVAL BOOK and OUTDOOR GIZMOS 2-PACK set. We have a special section just for Rockhounds! Or you may want to read about Geronimo, in his own words. Find out all about the legend of Kokopelli. Or peruse this book with over 250 pictures of Rattlesnakes. Our book selection if phenomenal! Joint Supplement – Do you have a dog or cat with arthritis or joint problems, or just a little slow from old age? Check out Nimble, a glucosamine product for dogs, that could help return them to pain-free movement. Click here for more information or to buy. WE OFFER DESERT QUEEN FRAGRANCES – give her the rare and delicious scent of Desert Queen fragrance, capturing the scent of the Night-Blooming Cereus – 1.7oz Eau de Parfum Spray for only $38.95,Bath and shower gel at only $16.95 or Gift Trio at $64.95. Also a great gift idea ISIS and AQUIS Hair Towels and Turbans reduce split ends and help dry hair faster at home or at the gym. Warning may result in smiles in the morning! DVDs ABOUT INDIAN CULTURE, BATS, & MONTEZUMA’s TREASURE! MAPS MAPS MAPS! National Geographic Trails Illustrated ® Maps from Arches to Zion, Recreational Maps, and Atlas & Gazetteers with GPS Grids. Also the Topo CDs Western Region USA 7.0 – completely updated USGS topographic maps, on 5 CD Includes the latest DeLorme street and highway network 3-D flyovers, GPS compatible, elevation profiles. Sounds of the Desert: Ah-Nee-Ma, John Huling, Robert Mirabal. Let the sounds of nature and American Indian instruments transport you to peaceful canyons and wide open skies. Enchanting music of Native American flutes, drums, and chants with keyboard textures and guitars to form a rich landscape of musical sound paintings, inspired by the ancient cultures of the American Southwest. Listen online to clips.